Some may be alarmed at the steady increase in my body weight. Don’t be! Remember I’m on a twelve week programme, the first eight weeks of which is focused on improving strength and building muscle. Well, you can’t build muscle by starving yourself so, for now, I’m happy to let the weight increase in the certain knowledge (please, Lord!) that when I get to the ‘cut’ section of my programme it will drop off, leaving me lean and mean. The new picture tells its own story and I’m really happy with that after just four weeks. My strength has improved steadily throughout and the muscle mass increase is clear to see. Did I restore the discipline? 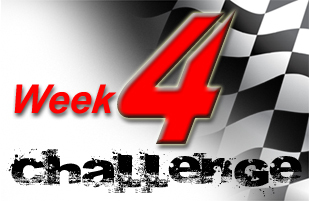 You can see my full Week 4 report and the ***NEW PIC*** here.